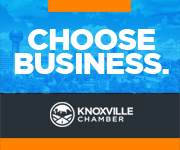 Ensuring the region’s existing industries have access to the resources and programs designed to support growth is central to the Chamber’s overall economic development efforts. Alex Kleto, manager of existing industries, connects companies currently operating in Innovation Valley with available no- and low-cost resources that can provide expanding businesses with incentives, infrastructure, and talent. Expanding businesses with incentives, infrastructure, and talent. Collaborate with industry peers who share your pain points and passion.